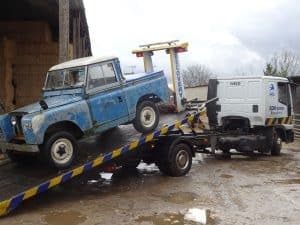 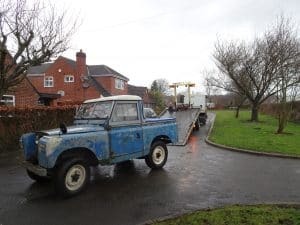 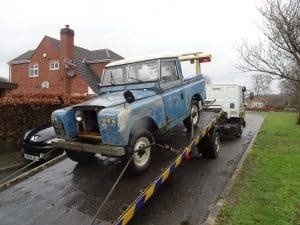 Andy from ADM Motors Recovery arrived, and loaded the Landie onto his transporter, and took it to Guru Judd’s at not too far away Barlow, for the engine he finished rebuilding for me to be fitted in. 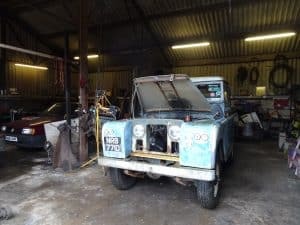 Hopefully soon, Judd will have sorted it out, and it will be ready for the spring and summer season! 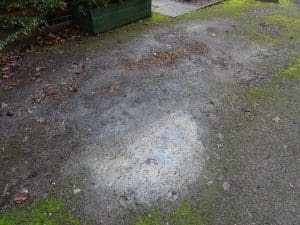 All that is left at home is an oily patch on the drive!